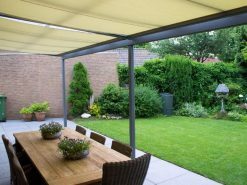 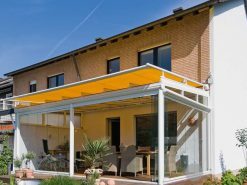 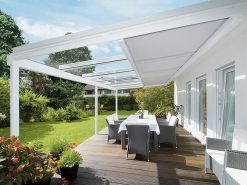 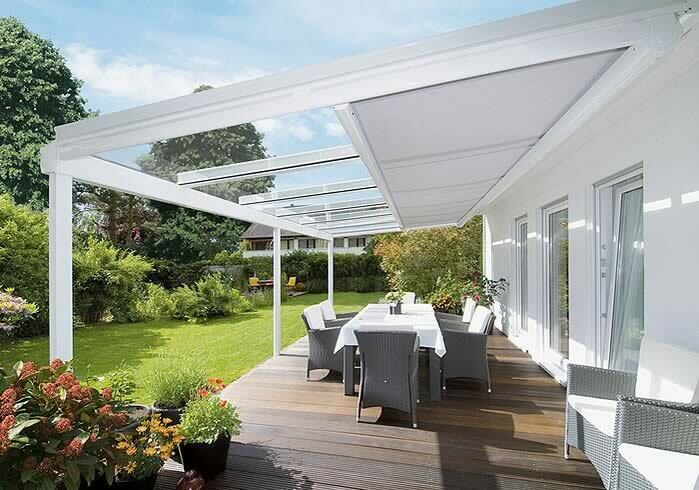 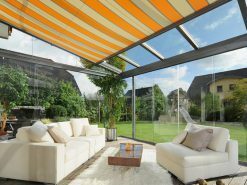 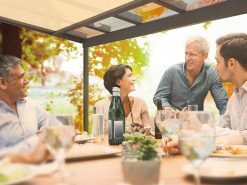 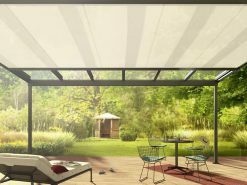 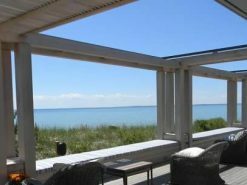 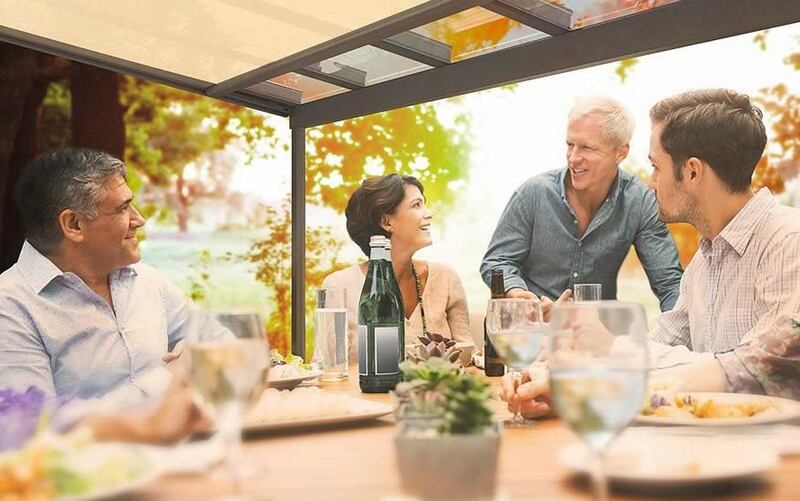 The Weinor Sottezza II underglass awning creates an intimate atmosphere. 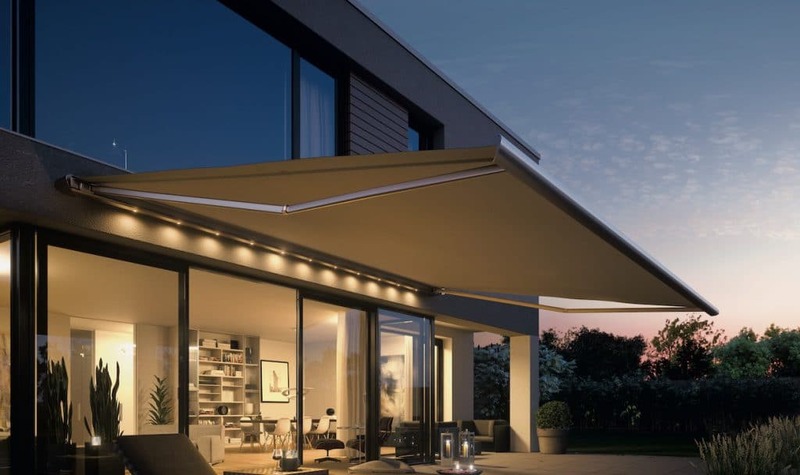 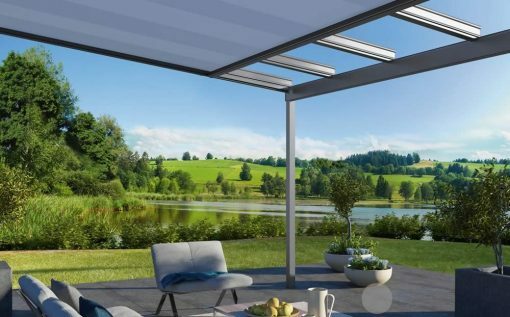 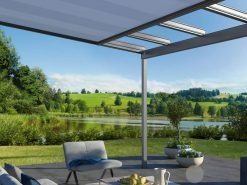 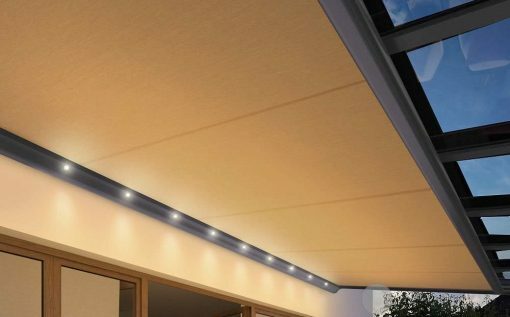 The Sottezza is a streamlined design which provides conservatory shading for areas up to 24m² with optional integrated lighting available (Weinor Sottezza II LED). 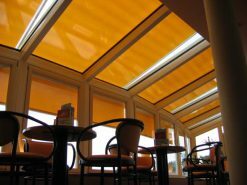 Contemporary round cassette design providing interior sun protection for a cosy atmosphere. 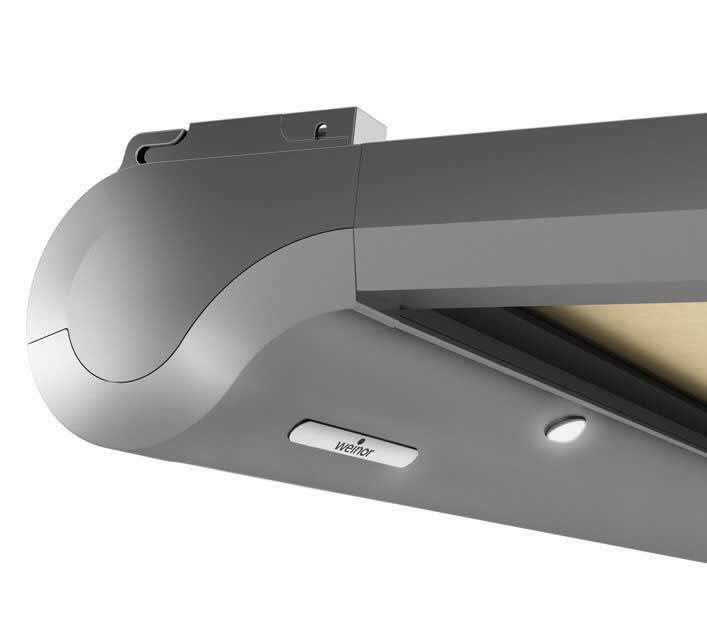 The precise technology of the patented carriage system ensures smooth running of the Weinor Sottezza II at all times. Maximum width of 6000mm and maximum extension of 4000mm. 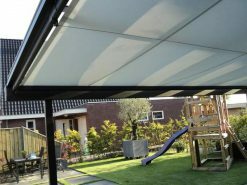 A 6000mm extension is possible up to a maximum width of 4000mm. 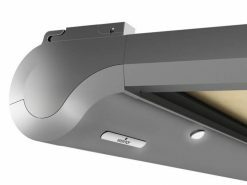 Coupled units available up to 10000mm and extension of 3000mm. 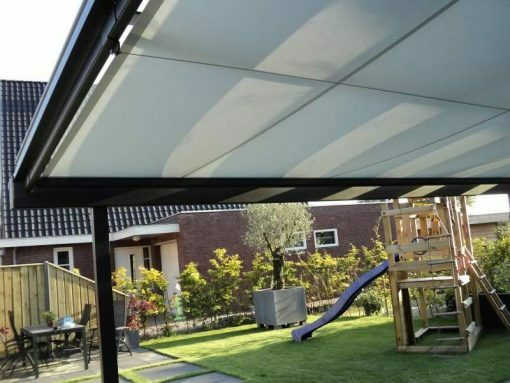 A 5000mm extension is possible up to a maximum width of 8000mm. 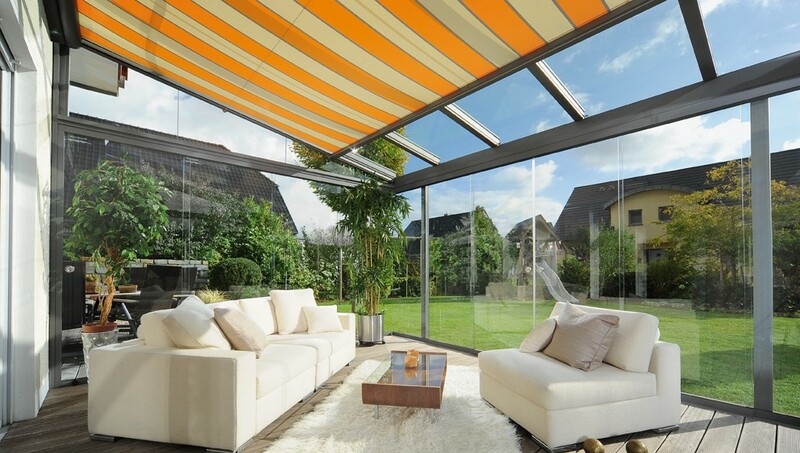 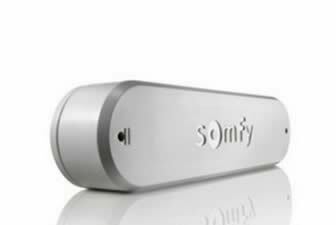 Reduces heat under the glass and provides for feel-good temperatures in summer. 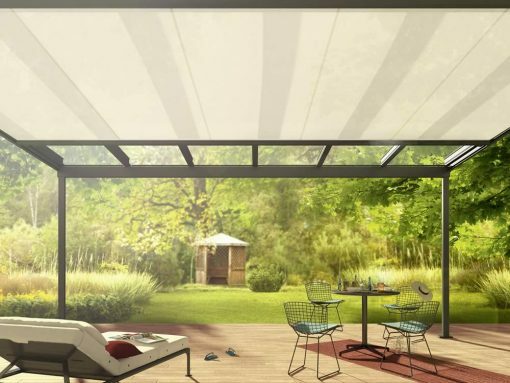 In cooler seasons, the warming solar rays are used to heat up your patio area. Tried and tested rope clamping system ensures even fabric deployment as well as fast and easy installation. 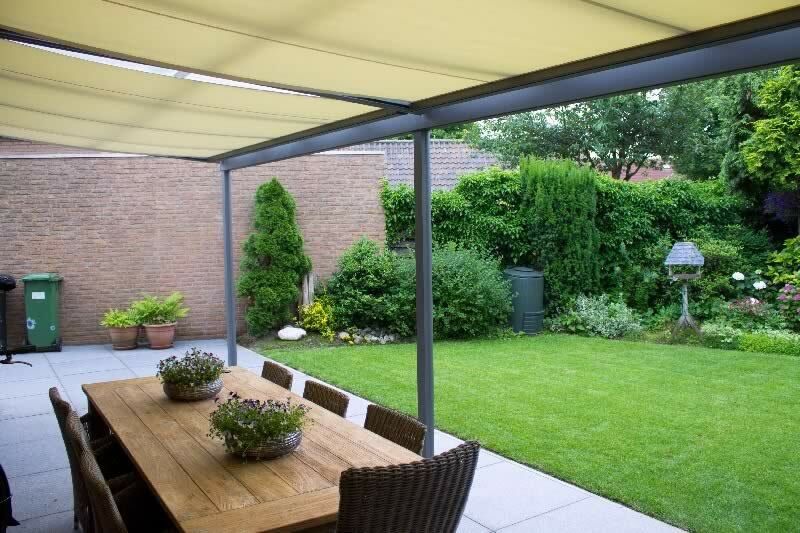 Teflon EXTREME finishing makes the fabric water and soil repellant. 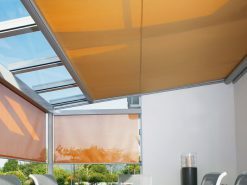 Solution dyeing brings the colour pigments deep into every fibre. 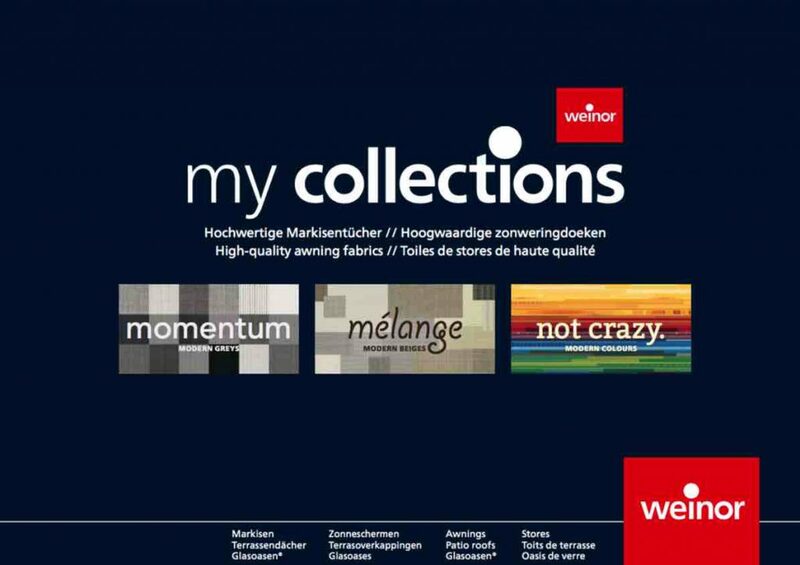 A choice of 155 fabric patterns is available. 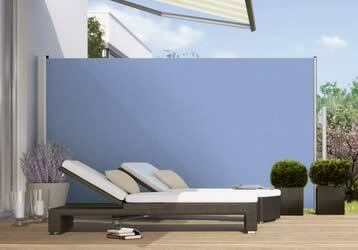 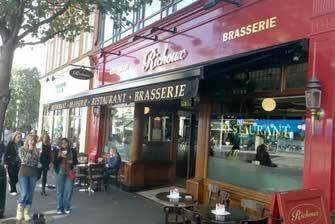 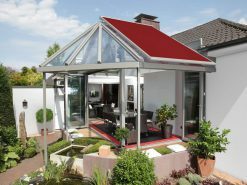 More than 50 standard frame colours, and over 150 RAL colours. 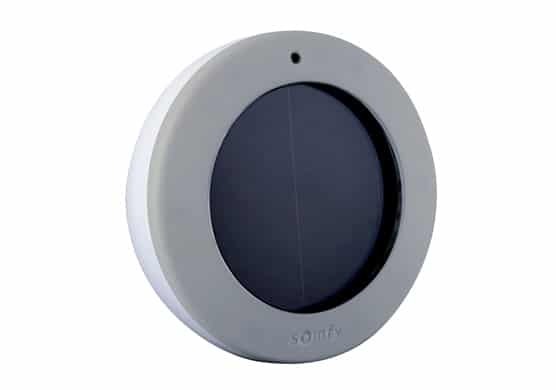 Optional LED lighting integrated in the cassette. 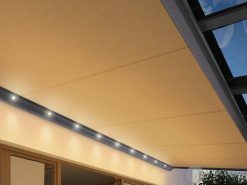 Stretch and OptiStretch versions available for long, narrow spaces. 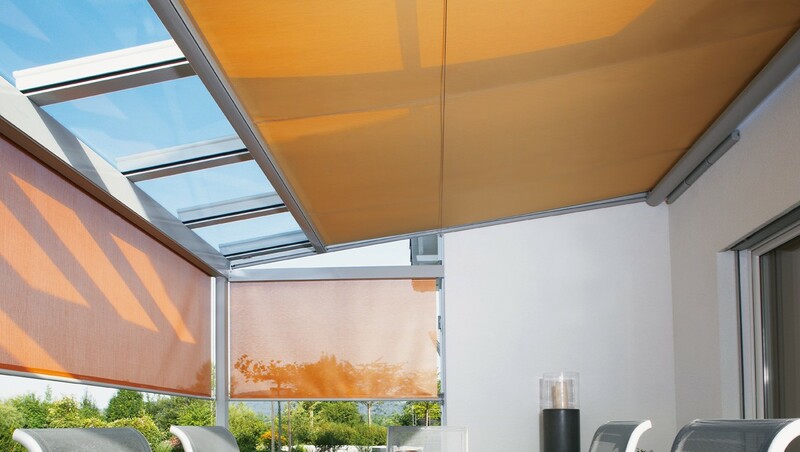 The fabric is positioned securely and taut, within side channels in the case of the OptiStretch. 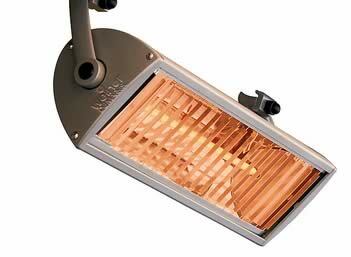 Weinor Tempura heating system available. 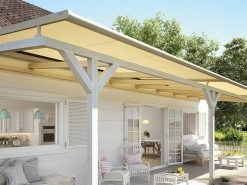 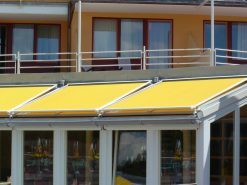 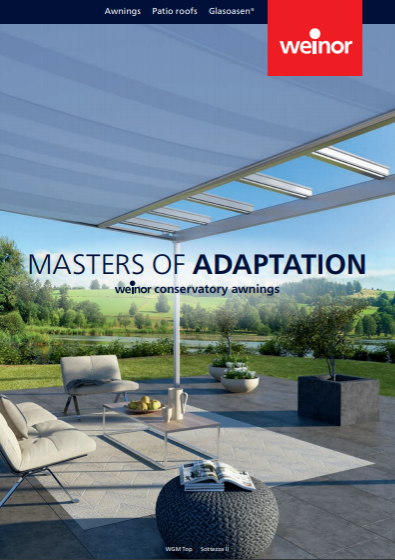 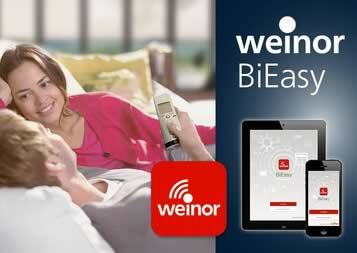 Weinor offer a wide range of options and accessories to add the perfect finishing touch to your awning installation. 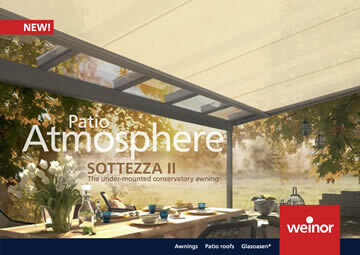 The below products are suitable for the Weinor Sottezza II – click here for more information.